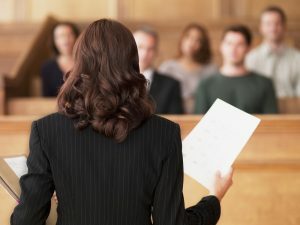 Complex cases sometimes require an expert witness to help win a case. However, hiring the right expert witness can be difficult as most expert witnesses have no references or the references are in cases that are not similar to yours. Look at hiring an expert witness that has experience with talking to a jury and can explain complex construction issues to a jury who knows nothing about construction. For example, if your case involves the explanation of building codes, look at hiring an expert witness with building code experience. On the other hand, if your case deals with defective design or materials, look at an expert witness who understands these aspects of construction. Your expert witness should possess the right knowledge so that the jury and the judge trust his/her opinion. Therefore, look at an expert witness who has sufficient field experience in a similar project, incident or situation. The quality of your case will also depend on how much care you and your company have taken to maintain standards and ensure that the building you’re creating is safe for the people living in it. Remember that all aspects of a project need to be monitored, and contractors that are responsible for certain aspects of the projects need to be vetted to ensure that they are qualified to complete the task. If these precautions have been taken, the chances are that the cause of the error is not the fault of the company and most often the responsibility of a third party working on the project. Article by Lyle Charles Consulting. They provide a professional opinion and a complete construction claim analysis for contractors looking for a construction expert witness with a construction background.